Interviewing celebrities can be hard. The scripted answers. The pre-determined narratives. The sweaty hunt for those rare, elusive details. 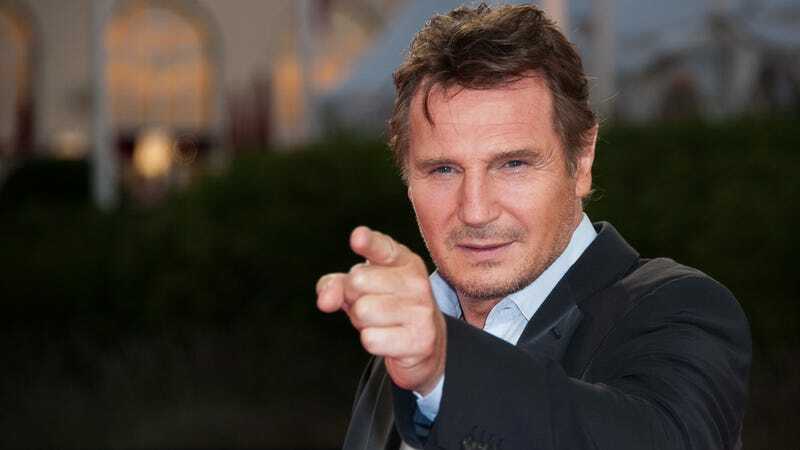 Sometimes, however, God smiles on you and Liam Neeson responds to a basic question about the movie he’s starring in by talking about his new friend, the horse. When asked how he knew the horse remembered him, Neeson said it “whinnied when he saw me” and “pawed the ground.” The thing is: He’s probably not wrong. There’s numerous studies out there illustrating the long memories of horses, including this one, which posits that horses can remember the expression on your face when last they saw you. And, hell, who could ever forget Neeson’s signature scowl? He didn’t say where he and the horse previously met, though Vulture posits 2014's A Million Ways to Die in the West and 2006’s Seraphim Falls as possibilities. But what of the 1983 sci-fi swashbuckler Krull, in which Neeson plays an axe-wielding bandit? No animal could forget this wallop.